Everyone loves Christmas promotions and Paddy Power are no exception. 200 winners will receive £50 in slots bonuses in their latest festive promotion. Imagine what you can with that? Only funded players can take part, so if you haven’t already joined Paddy Power Bingo, head over there today and register your details. All you have to do is register the promo code FESTIVE to opt in. You will earn 1 ticket into the draw for every £10 that you wager on the site. If you wager £10 on the special games Train Christmas, Very Merry Christmas, or Christmas Cash, you will increase your chances by earning two tickets into the draw. Although this promotion has already started, you still have time to join in, it runs until midnight on the 17th December and the draw will take place on the 18th of December. Paddy Power Bingo are also running a £7m Christmas Giveaway which will run until the 5th of January, where there are lots of cash prizes to be won. Join the Super Bargain room every day between 12.30 and 1.30pm, where free bingo games will be played every 30mins. 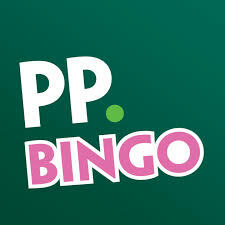 Paddy Power Bingo have an exclusive deal, they are offering you a 500% match deposit bonus, all you have to do is deposit a minimum of £5 and you will get £30 to play with. This promotion is open to consumers over 18 years only. This promotion is only open to residents of the UK and Ireland only. Consumers must stake a minimum of £/ €5 cash on bingo games within 30 days of creating their chat name to trigger this promotion. The £/€15 bonus is only paid on bingo stakes; stakes on side games do not count towards the staking requirement. This bonus must be wagering through three times (x3) on bingo tickets before it will be withdrawable. The £/€10 slots bonus is only paid on slots; stake on bingo games do not count towards the staking requirements. This bonus must be wagering through twenty times (x20) on slots before it will be withdrawable. Bonus staking does not count towards releasing sign up bonus.